Are you strapped in for a tour of some of the most breathtaking natural sights around the globe? These dramatic natural phenomena prove that Mother Nature can surprise even the most seasoned travellers. When a giant prehistoric lake dried, it left behind two modern lakes and two major salt deserts, Salar de Coipasa and Salar de Uyuni, the world’s largest salt flat at 10,582 km2. 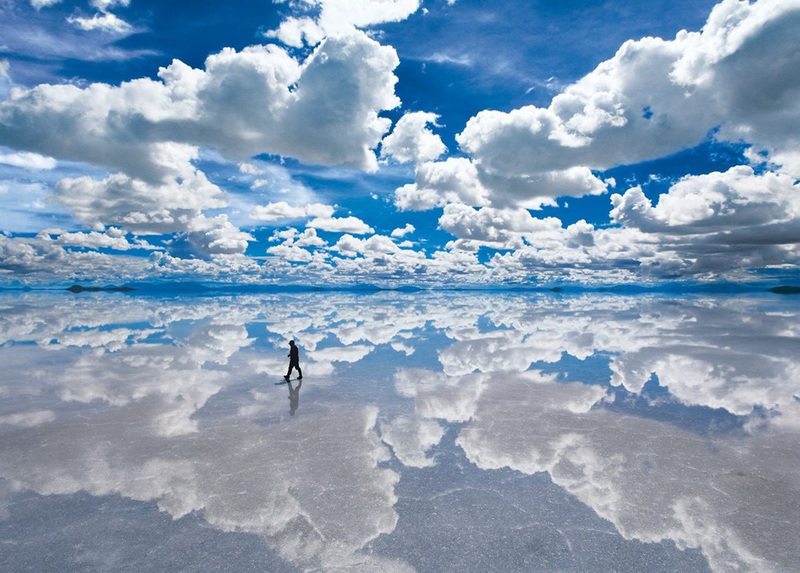 It is covered by a few metres of salt and when covered with water, this extraordinary place becomes one of the largest mirrors on Earth. 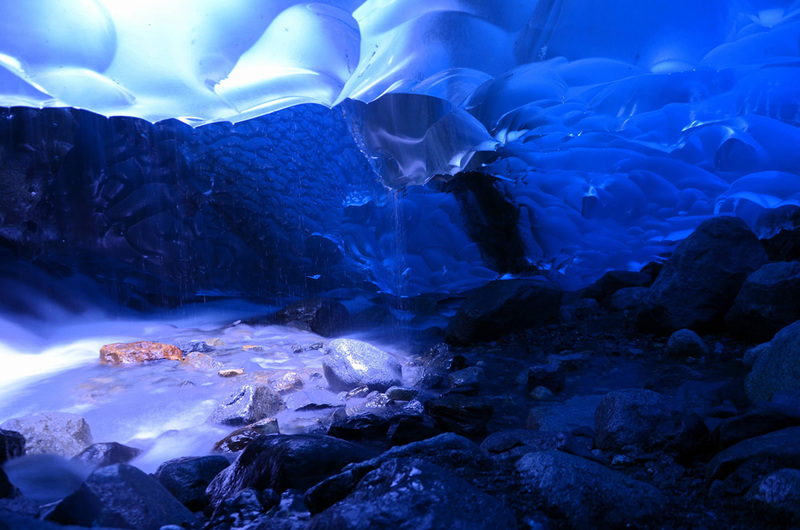 The 12-mile long Mendenhall Glacier in the Medenhall Valley, near Juneau in Southeast Alaska, is one of the few places you can experience every stage of the water cycle at once. The Ice Caves are inside the glacier, accessible only to those willing to kayak to, and then ice climb over the glacier. It is retreating increasingly fast due to global warming, so visit it while you can. 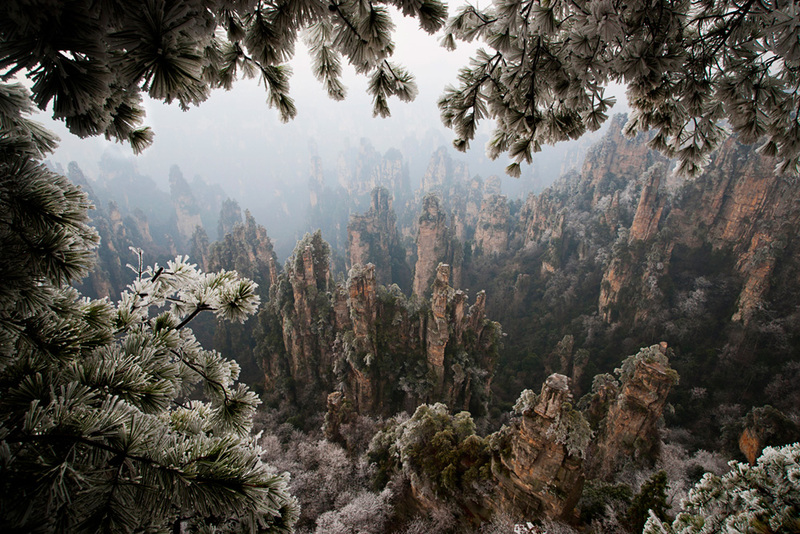 Located in the northern part of Wulingyuan Scenic Area in Hunan Province, Tianzi (Son of Heaven) Mountain Nature Reserve is one of the four scenic spots there. Covering an area of 67 km2, with the highest peak at 1,262 metres above the sea level, the mountain provides stunning views, which change with the different seasons. 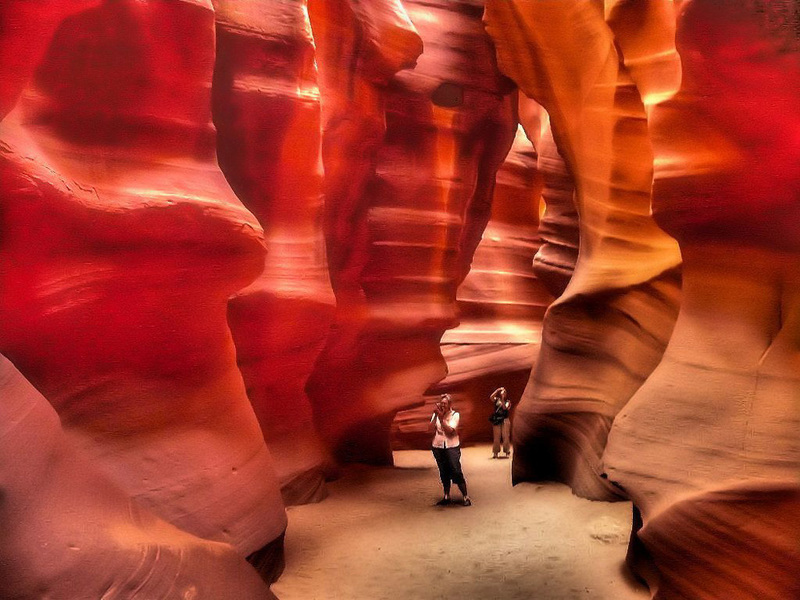 Located on Navajo land near Page, Arizona, Antelope Canyon includes two separate, photogenic slot canyon sections, Upper Antelope Canyon and Lower Antelope Canyon. It was formed by erosion of Navajo sandstone, mostly due to flash flooding and other sub-aerial processes. As the Navajo Nation gates it, entry is restricted to guided tours. 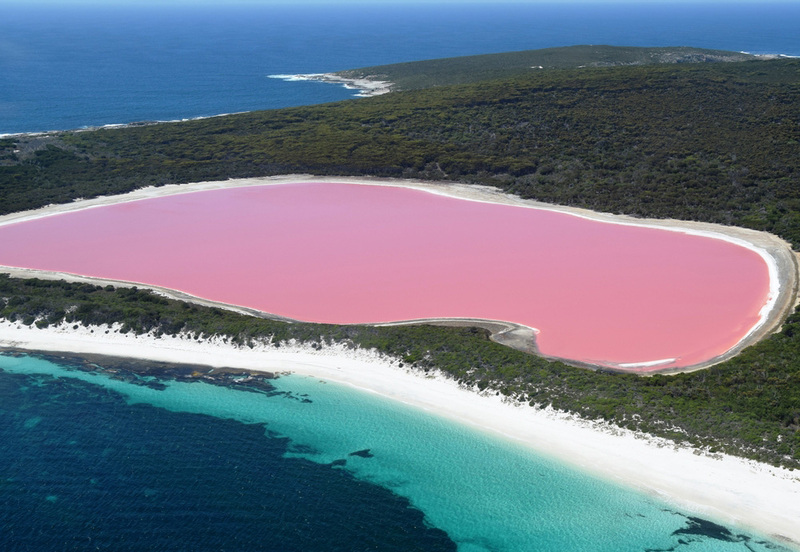 Lake Hillier on Middle Island of the Recherche Archipelago, Western Australia, is about 600 metres long. A narrow strip of sand dunes covered by vegetation separates it to the north from the Southern Ocean. It is speculated the pink colour comes from a dye created by the organisms Dunaliella salina and Halobacteria or from red halophilic bacteria in the salt crusts. 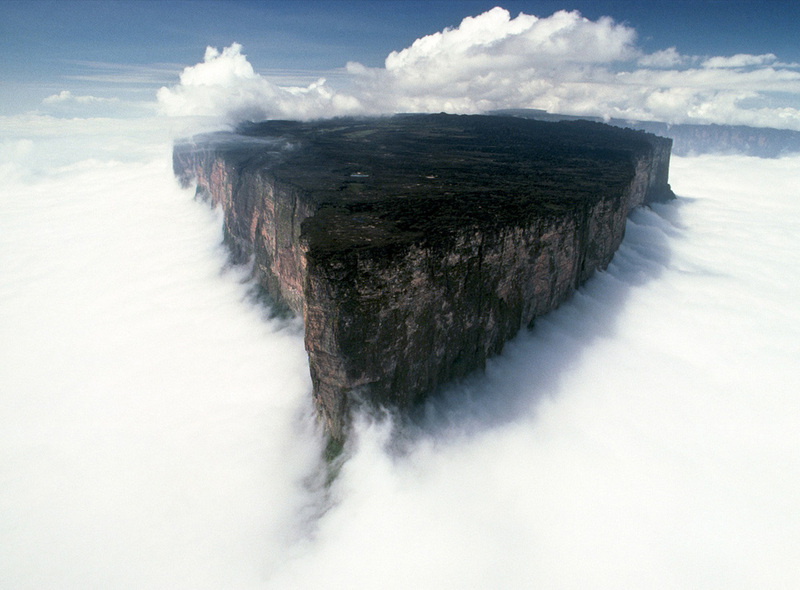 Mount Roraima, which is a triple border point of Venezuela, Brazil and Guyana, is the highest of the Pakaraima chain of tepui plateau in South America. Its 31 km2 summit area is defended on all sides by tall cliffs rising 400 metres. It is at the southeastern corner of Venezuela's 30,000 km2 Canaima National Park, forming the highest peak of Guyana's Highland Range. 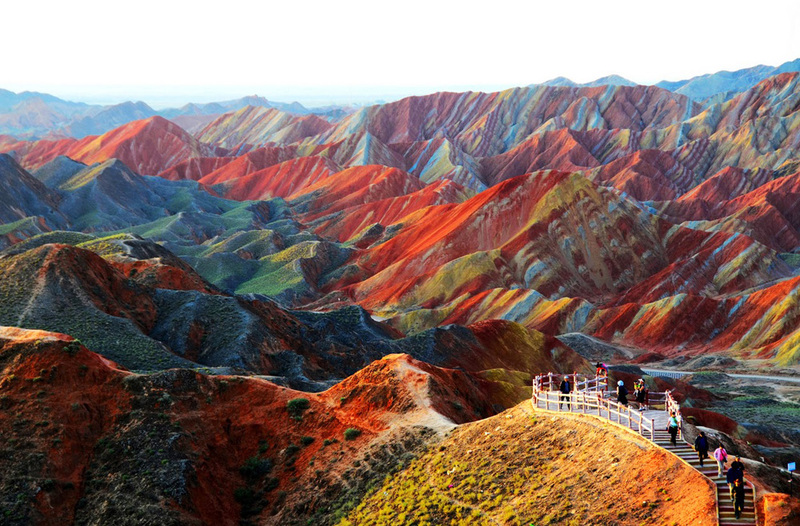 The colourful rock formations at the Zhangye Danxia Landform Geological Park in Gansu Province are otherworldly. 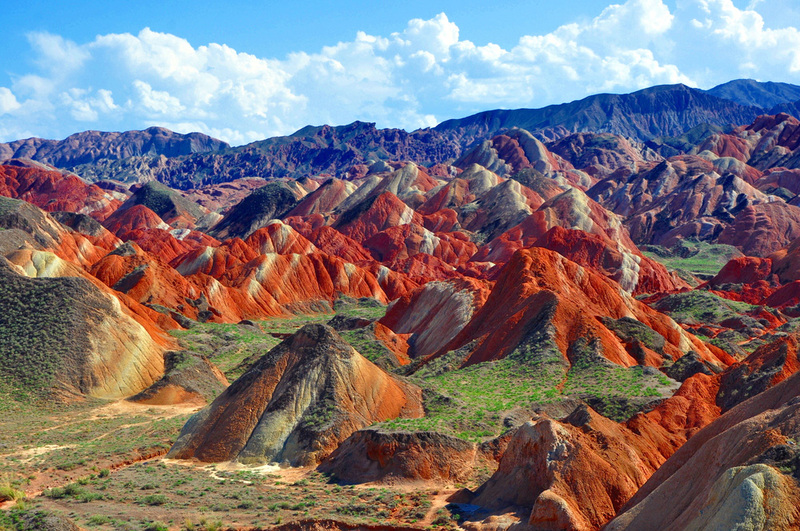 The unusual stunning layers of colours of the ‘Rainbow Mountains’ are the result of red sandstone and mineral deposits being laid down over 24 million years.